The Second Divisional Train appears to have been officially created in late March 1915, with Leslie and his friends being assigned to No. 7 Company upon their arrival in St. John. 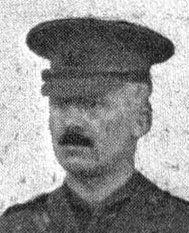 According to a later entry in the War Diary, Lieutenant-Colonel J.A. Shaw, S.S.O., left earlier for England with his batman, both from No. 5 Company, presumably to make preparations for the Train's arrival at Shorncliffe. John Arthur Shaw was born in Bowmanville, Ontario, and enlisted in Toronto on 26 January 1915, having served for four years in the Queen's Own Rifles (1891-1895) and a further 11 years in the C.A.S.C. (1904-1915). At the time of his enlistment he was working as an insurance broker. The officer commanding No. 7 Company was Major H.J.B. Freeman. Originally born in Montreal on 28 July 1876, Hugh Joseph Baker Freeman was an accountant, and was living with his wife in Long Beach, California when he enlisted in the C.A.S.C. at Winnipeg on 11 November 1914. He had no previous military service. Lieut. Edward Oswald Leadley was a married 30 year-old commission merchant in Winnipeg, although from Stratford, Ontario. He had no previous military experience, although he was an active militia member. Lieut. Roland Arthur Laird was also from Ontario (Oshawa), and working as a clerk in Spokane, Washington at the time of his enlistment in the C.A.S.C. in Winnipeg. He was married, and had considerable previous military experience, including four years with the D.R.O.C., three years with the Rocky Mountain Rangers, 2 years 10 months with the 16th L.H. and another 2 years 10 months with the 72nd Regiment. Lieut. 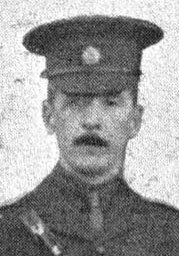 John Richard Charles Stanley was born in Plumstead, Kent, England, and served for 12 years with the Imperial Army Service Corps prior to his emigration to Canada. He then served for four years in the Canadian Permanent Forces. At the time of his enlistement at Winnipeg on 11 November 1914, he was an active member of the 18th Militia Company, C.A.S.C., which formed the nucleus of the Winnipeg contingent of the 2nd Divisional Train. He was single, aged 37, and working as a clerk. Lieutenant R.W. Marshall, who is pictured with the other officers of No. 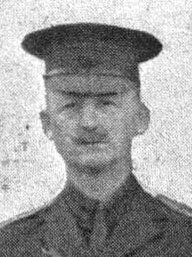 7 Company in the official photograph taken in St John, New Brunswick, apparently did not proceed with the 2nd Divisional Train overseas, as he is not included in the list of officers for that unit which accompanies the War Diary for April 1915, being an account of the strength on disembarkation. Col. Massie had a long military career which began in Fredericton in the ranks of the 71st York Battalion [sic]. He was commissioned as an officer and later was captain and quartermaster of that unit. 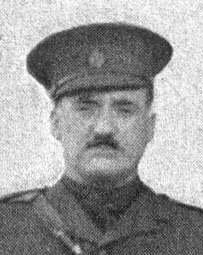 After removal to Saint John he was selected to organize and command the first unit of the Canadian Army Service Corps in New Brunswick. His success was so outstanding that he was promoted in that branch of the militia and in the early stages of the Great War was appointed to command the 2nd Divisional Train, C. E. F. and served with it in France. Col. Massie won the D.S.O. in active service, being three times mentioned in despatches. War Diaries of the First World War, from Library & Archives of Canada. Soldiers of the First World War, online database of soldiers who served in in the Canadian Forces during WW1, by Library & Archives of Canada.